This year there are 3.5 million students expected to graduate high school, a milestone each one of them has spent their entire lives working toward. But did you know that kids who have been in foster care are 50% less likely to graduate by the time they turn 19? “My favorite part of working at Palmetto Place is getting to know the kids we serve. Some of them have been through so much trauma and pain, but while they’re here, they’re just kids and teens. Are Harley Davidson bikes your passion? Do you enjoy playing poker? Do you want to help support the kids at Palmetto Place? If you answered yes to one or more of these questions, the Poker Run, Walk, or Crawl is for you! Spend Saturday, June 4th at the Thunder Tower Harley-Davidson! Registration starts at 10:00 am and the last draw is at 3:00 pm. Tickets are only $15 per person and can be bought at the door. Come early for door prizes, a 50/50 raffle, the silent auction and great music. The 2016 food vendors include Ronnie's Ribs, Scottie's cafe, and Buffalo Wild Wings. Be sure to check our other stops sponsored by Quaker Steak and Lube! All of the residents at Palmetto Place have goals for 2016. Stay tuned to hear what our teens are thinking about this year! When I took this position I knew it was going to be hard. “How do you care for a child for months, and then watch them leave?” I asked myself. Many people gave advice on how they'd handle a job like this, one where a child becomes attached to you, they call you mommy, you get attached to them, they are your babies. I heard it all “Do something special for yourself after a hard day. They’ll always remember what you did for them. Know that tomorrow there will be another child who needs the love only you can give.” I’ve seen many kids come to Palmetto Place in my six months here. There were kids here when I started who left before I got to know them. There have been kids who came and left so quickly I never even got to introduce myself. But there are a few who have been here since I started, I’ve grown to know them and care for them on a maternal level. These are my babies. Today, I had to say goodbye to one on my babies. It’s a bitter sweet goodbye for us both. I greet her as she gets home from school, knowing that she hasn’t been told yet. I tell her I’ve got good news, she’s going home. As she looks at me with those big doe eyes and says, “I don’t want to leave my friends at Palmetto Place” I hold back tears. I don’t want her to leave me but I know I have to be strong. Being placed with a family member is best for her, at the same time, I feel like her family. “If I can’t be there physically to tell her how smart and kind she is, who will?” I think to myself. “How will she know that I love her if she’s not here for me to tell her?” I can feel the tears start to form and know that I’m about to lose it. So, I squeeze her one last time, extra hard so she knows I mean it. I tell her how special she is and that I’m always with her. Whenever she is missing her friends at Palmetto Place all she needs to do is close her eyes and relive her memories. (Deep down inside that little piece of advice was really for myself.) I watch her walk out the front door, get into the car, and back out of the driveway. I feel a little hand grab mine, I’m pulled back to reality as a 6-year-old boy says, “I’ll miss her too.” I’m reminded that I’m still needed here, still needed by him, and that in my time at this job I will have more babies than I ever thought I could. Later, he took his two new favorite toys, Batman and Spiderman, and the three of them played a rousing game of pick-up basketball (it was a close game, but Kevin made a last-second three point shot to win against the plastic figurines). After basketball, Kevin went on an adventure with the houseparents; getting him registered for school. As he walked up to the elementary school he was nervous; starting a new school year is never easy. After getting the paperwork filled out Kevin wanted to meet his new teacher. Although he can’t remember her name, he said, “She seems really nice. I’m excited about fourth grade even if I’m going to have to learn multiplication!” He was starting to feel better about starting school when he heard a familiar voice. Darting down the hall and around a corner he saw his favorite substitute teacher! On their way home from running errands he asked if he could get his favorite lunch, McDonalds and chocolate milk! He ate lunch with some staff members, something he doesn’t normally get to do when all the kids are home. He expressed a little apprehension about having to take timed multiplication tests, but quickly talked himself out of it when he realized how smart he would be once he mastered multiplication. Though he was excited to get back to school to see his friends, what was even more exciting was that this afternoon, he got to pick whatever channel he wanted on TV. Unrestricted by “all those girls” to choose a suitable movie, Kevin was able to kick back and watch Cars, and took up as much room on the couch as he wanted. As Cars came to its denouement, Kevin realized he had done everything he had wanted to do in his day off. Luckily, just then, the van with the other kids pulled into the driveway and they came barreling into the house, wide-ruled notebooks and #2 pencils flying. Kevin loved the peace and quiet of the morning, but by the end of the day he was thankful for the usual hustle, bustle and chatter. He was thrilled to have the other kids back around – those he has come to consider his family – so he could hear their stories of new classrooms, new teachers and old friends on the playground. By the end of the school day, Kevin couldn’t wait to begin his own school journey tomorrow (even if he does have to learn multiplication). We wish for you and yours the same that we wish for all our children – a happy and healthy start to the school year! We can’t wait to see what this year brings! For the past semester, I’ve been volunteering at a local children’s shelter. At first, I was only going with the intentions of getting my 15 community service hours for one of my classes. The first time I went, I was terrified. I love kids, but I found every reason to complain about taking time out of my week to hang out with kids that might not even like me. Boy, was I wrong. Here I am, in tears at the end of the semester because I won’t get to see any of them for 3 months, and I might not see some of them ever again. The first time I went to Palmetto Place, I was scared, skeptical, and hesitant. I thought the kids were going to make fun of me, distrust me, and want nothing to do with me. I quickly realized that this was not true at all. Yes, they were sassy and defensive – but can you blame them? Many of them have already had to fend for themselves considerably during their relatively short lives. Out of all of the children I have met here, one special three year-old girl has impacted me the most. She is an absolute firecracker. I met her the second time I volunteered here. She latched right on to me, and we became buddies. Later that day, she fell into a bad mood, and decided that she didn’t want to share with any of us. I held her still for a minute and asked, “Do you know why I am here?” She shook her head, “No.” I replied, “I am here to play with you and to be your friend. Do you want to be my friend?” She nodded her head with an excited “Yes!” I prompted her, “Well, friends share with each other, love each other, and are kind to each other – think you can handle that?” I watched her consider my request for approximately thirty seconds, and then I watched her completely refute my advice (three year-olds and logic don’t always mesh well). I left that day, knowing that I learned something big, and hoping that this little girl did too. I returned the next week, and immediately felt someone tugging at my shirt (and, of course, my heart). I looked down and (who would have guessed it?) it was that same little girl. She excitedly declared “I’m not going to do what I did last time because I want to be your friend.” This was huge, coming from a three year-old. It took me only that moment to realize that I wasn’t here just to sign off on a few service hours and leave. I was there for children like her. I was there because I am passionate about these special children and this special place. I wasn’t assigned to Palmetto Place. I went there, and I continued to go, because I felt like I was able to make an impact on these children. I now go to Palmetto Place every Thursday, and it is honestly the highlight of my week. I get excited just walking into that door and hanging out with these kids once a week. They break my heart and mend it back together all at the same time. Thinking about what these kids have already gone through in their lives tears me apart. Why should innocent children have to suffer from situations that aren’t in their control whatsoever? When I think about the home that these children and youth might be coming from, and the home that they might have to return to, I am so thankful for their temporary home at Palmetto Place. Without non-profit homes and shelters like Palmetto Place, these children could have ended up in mass orphanages, or in unsteady, and often unsafe, home environments. My time serving at the shelter this past semester is something that I will never forget. These kids will remain in my heart and my prayers for a long time. The hope that I see in their eyes, despite everything they have been through, is beautiful to me. These children have every right to feel disparaged by, and distrustful of, the world, yet they placed their trust right in the palm of my hand. Here at Palmetto Place, I get to help kids realize their full potential in life, and teach them that they aren’t defined by their starting points in life, but by how far they come. 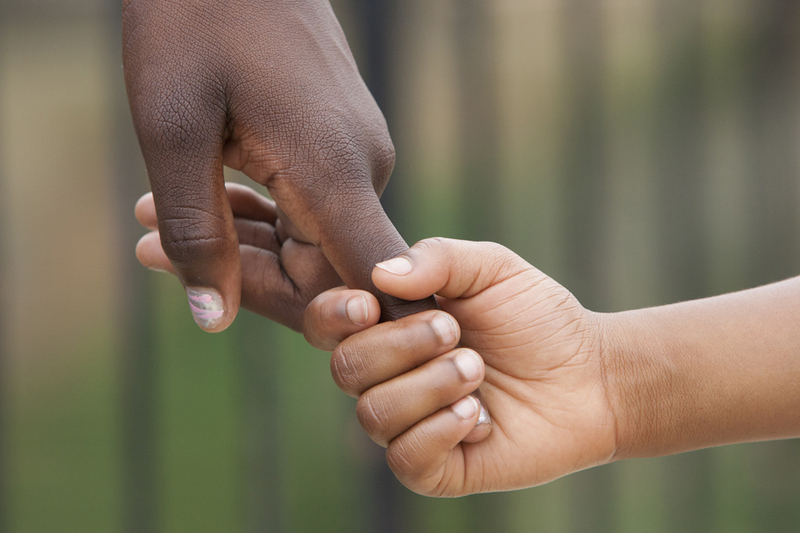 May is National Foster Care Month, a month set aside to acknowledge foster parents, family members, volunteers, mentors, policymakers, child welfare professionals and other members of the community who help children and youth in foster care find permanent homes and connections. During National Foster Care Month, we renew our commitment to ensuring a bright future for the nearly 400,000 children and youth in foster care, and we celebrate all those who make a meaningful difference in their lives. Visit online for more information.